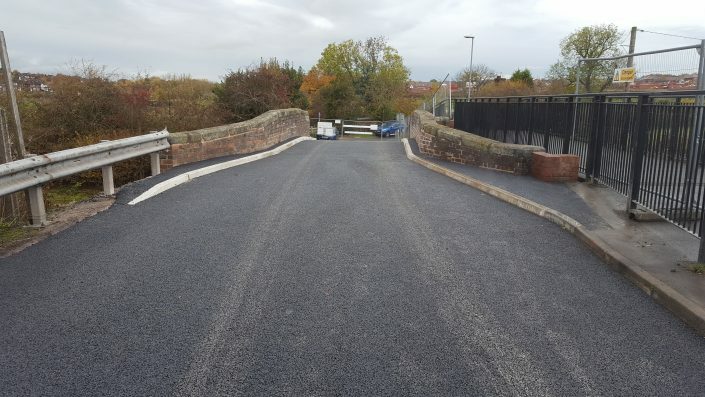 CPC Civils were successfully awarded the Elland Bridge contract in December 2015 and completed works in February 2017. 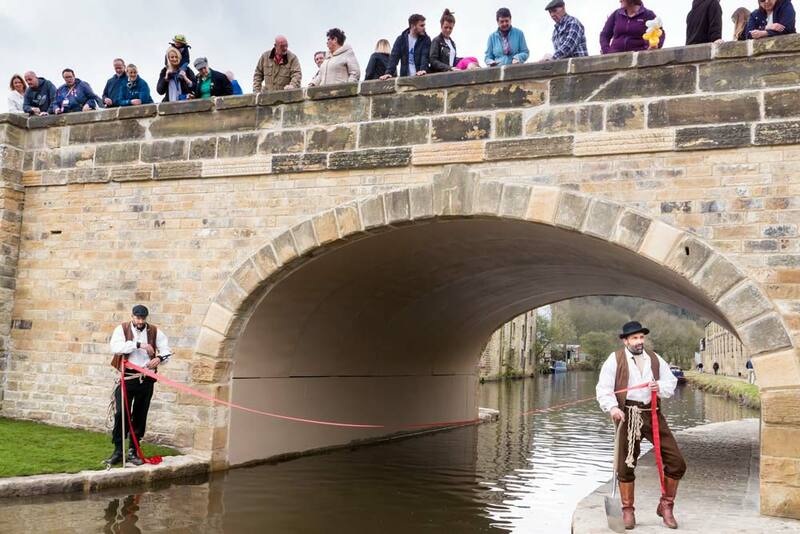 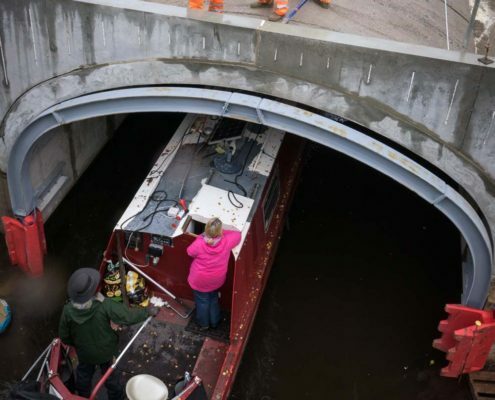 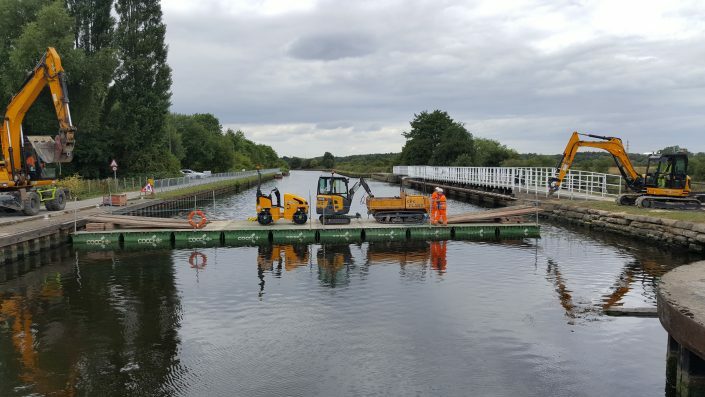 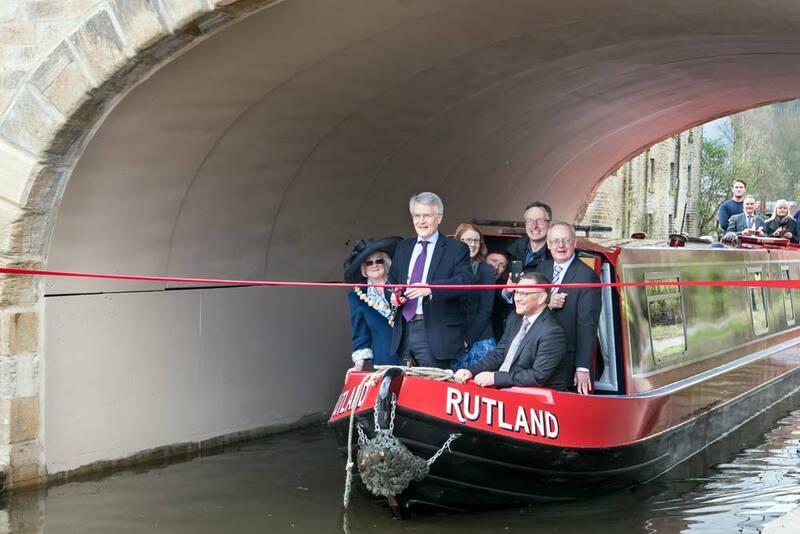 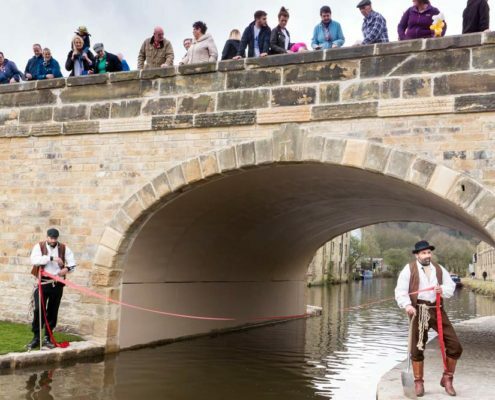 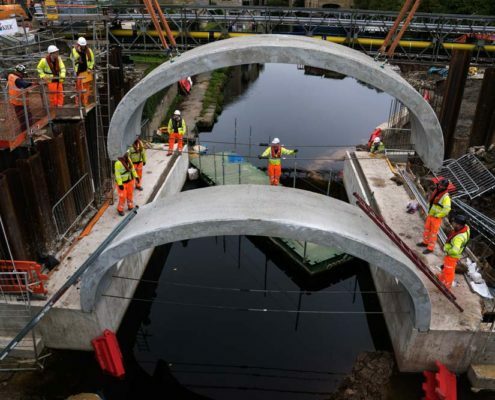 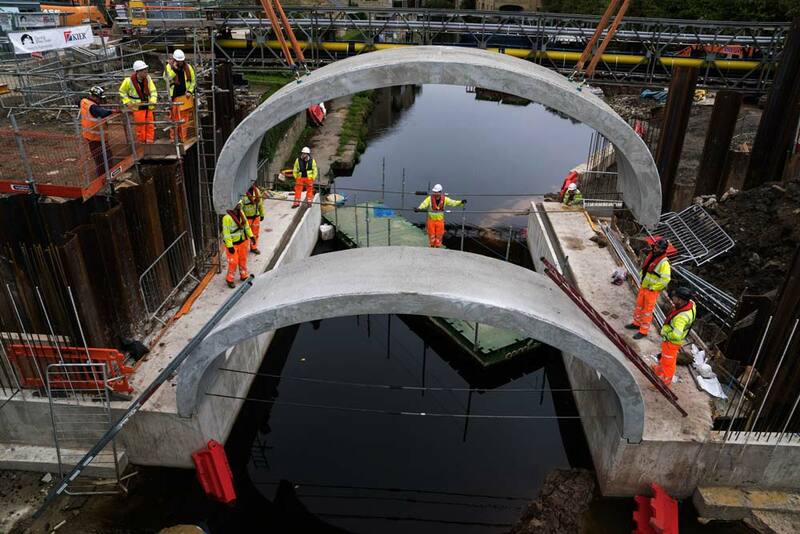 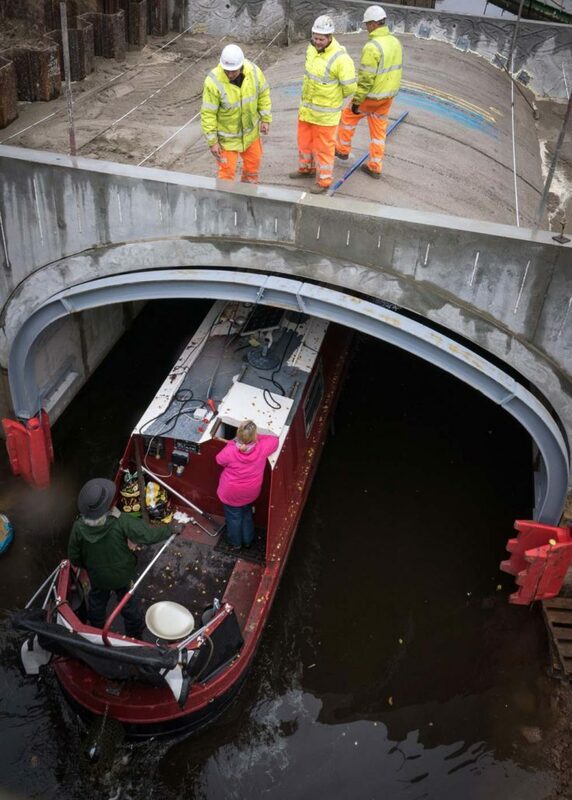 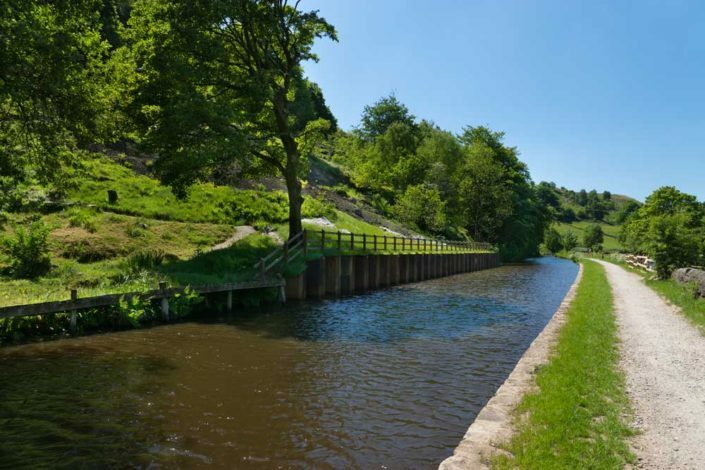 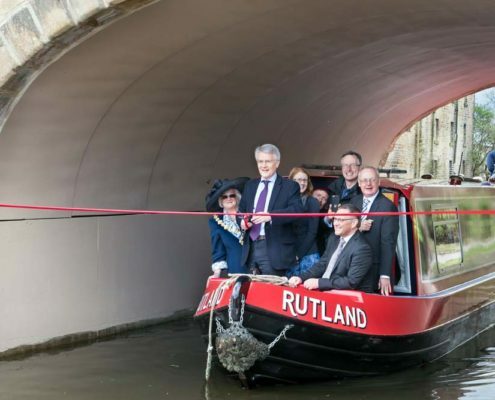 The Elland Bridge Project involved a complete renovation of a listed canal bridge near the City of Leeds, following devastating floods on Boxing Day which caused the bridge heavy and irreversible damage. 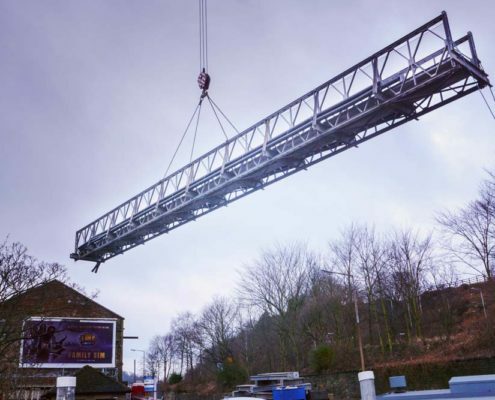 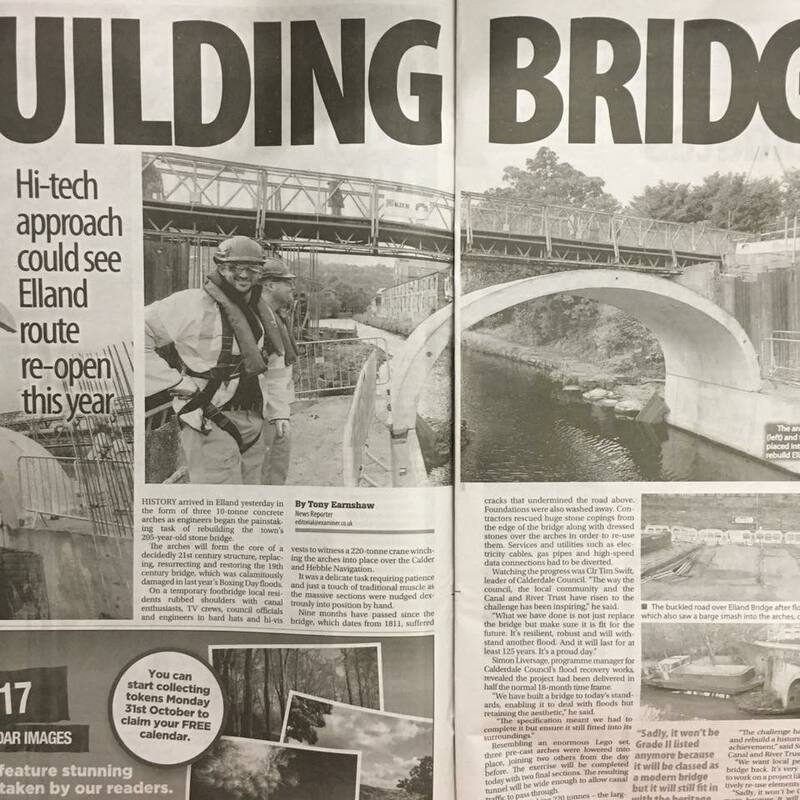 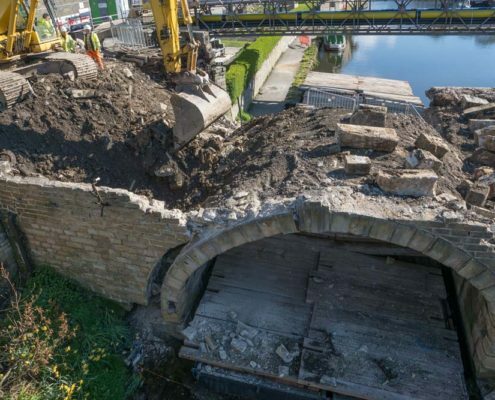 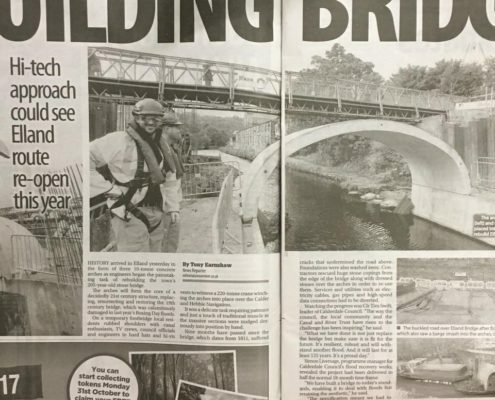 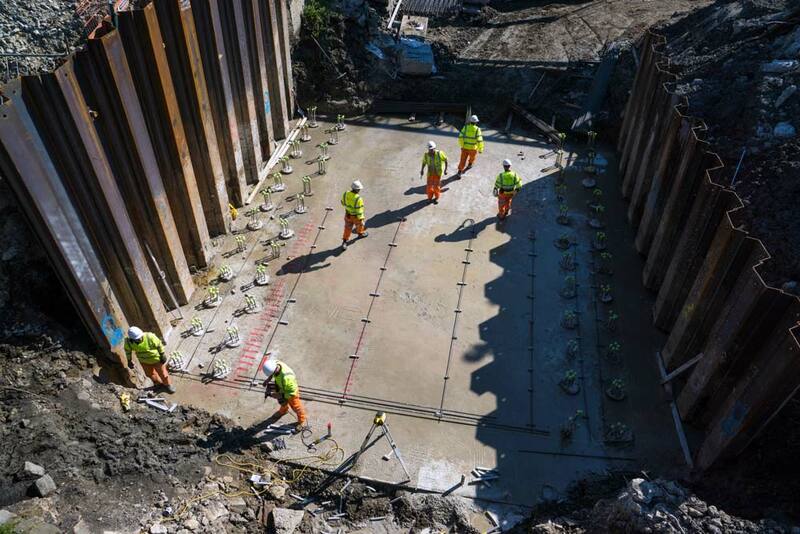 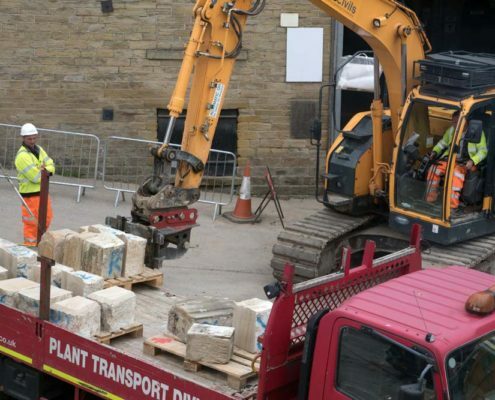 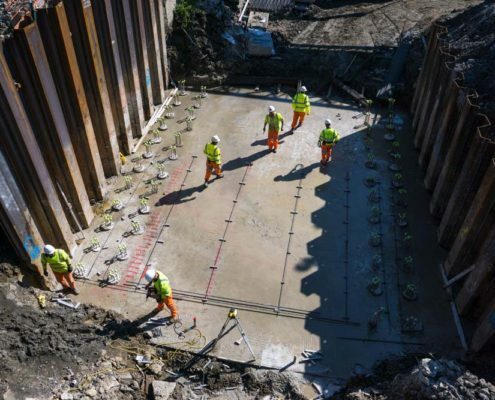 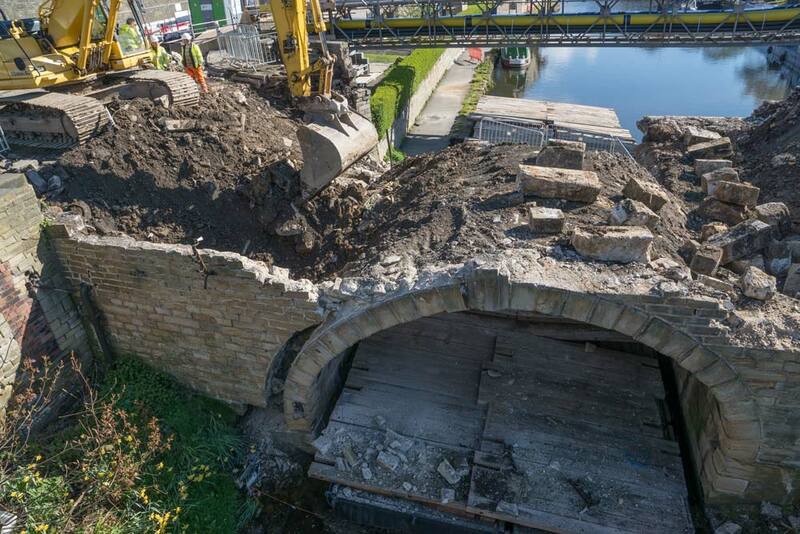 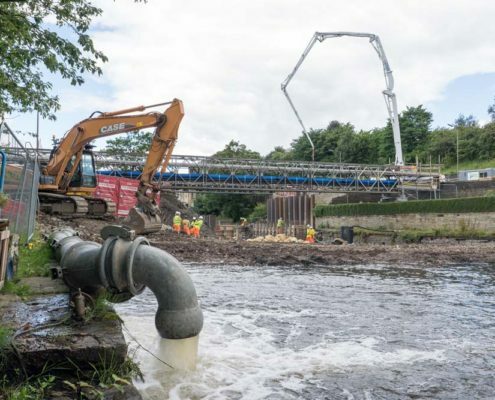 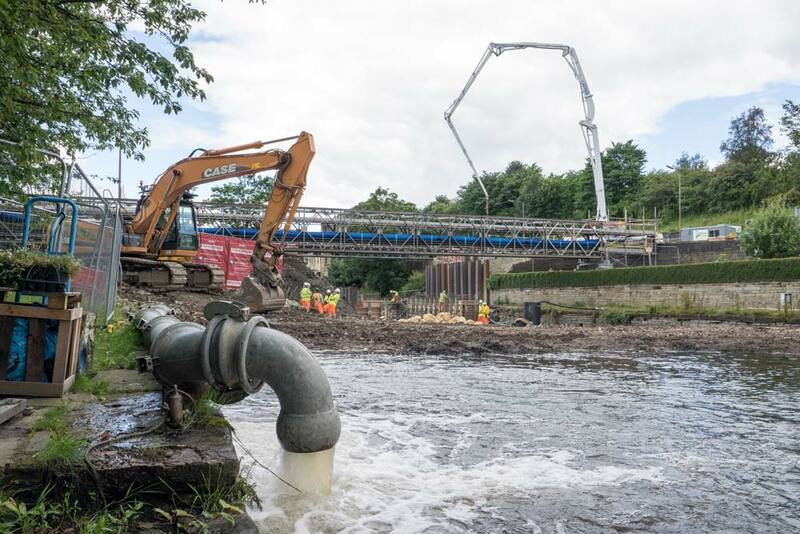 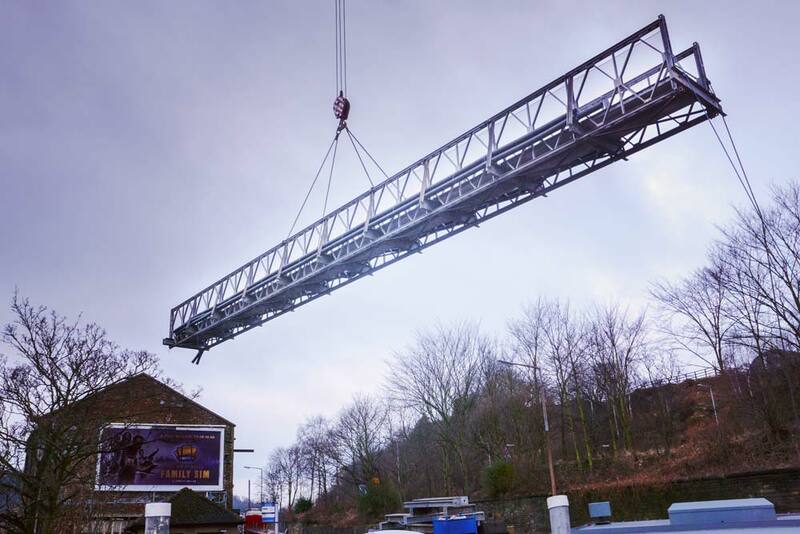 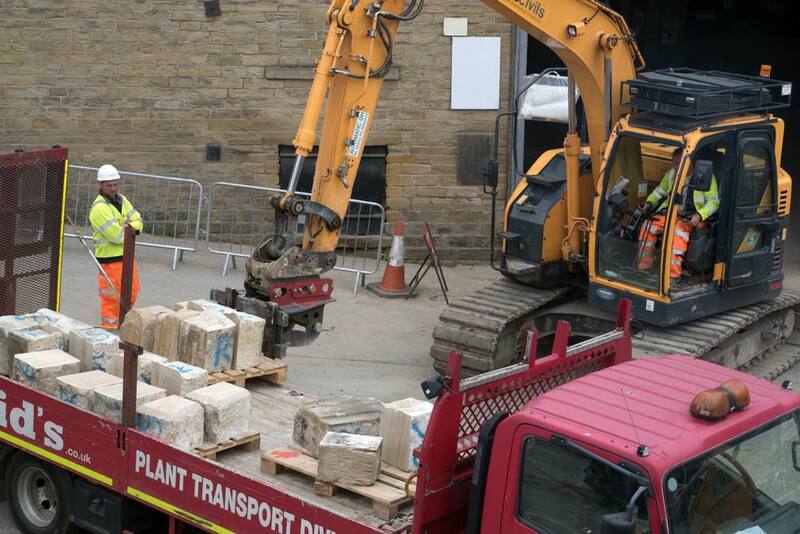 CPC Civils led on the demolition and rebuild of Elland Bridge, during which 7 new pre-cast modular aches were installed and clad with existing stone to meet planning requirements. 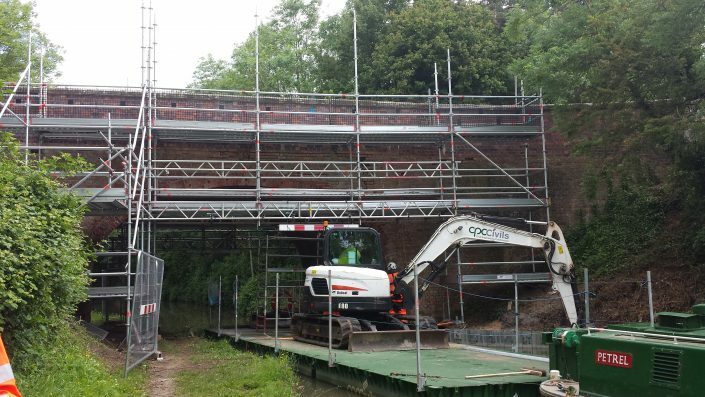 All services that were originally running through the bridge were diverted and installed onto a temporarily bridge (Bailey Bridge). 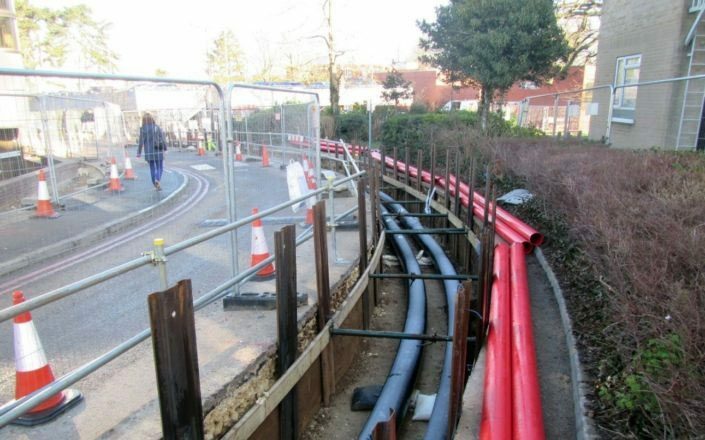 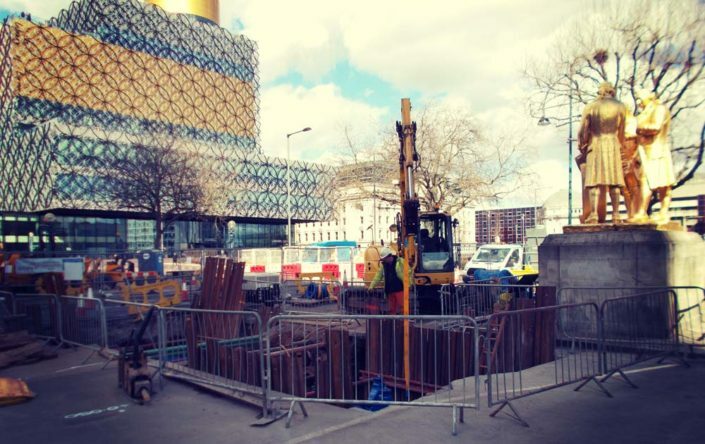 These services included gas, water, high voltage/low voltage telecoms and fibre optic.